The Great Day Quickdraw Overhead UTV Gun Rack is the ideal way to safely keep your firearms close at hand while keeping them protected. 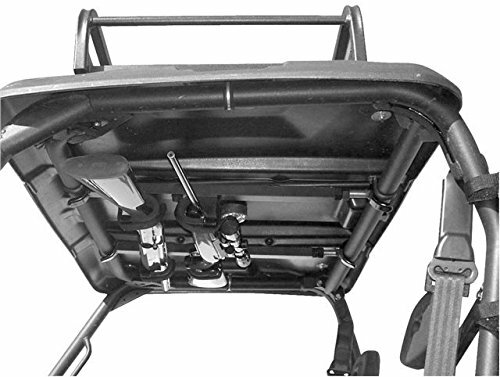 This UTV gun rack holds up to two guns securely in the inside roof area of most UTVs. The gun rack installs easily and if your UTV has a covered roof, your guns are completely protected from the elements.